A free concert benefiting the Bradley Beach Library will be held at Riley Park on Sat., Aug. 22 from 7 to 9 p.m. The concert is being paid “through the generation of our local business partners,” said Mayor Gary Engelstad with no cost to the library. Asbury Park’s The Shady Street Showband, an 8-piece band with a large brass section will be performing contemporary music from the 70s, 80s, and 90s. 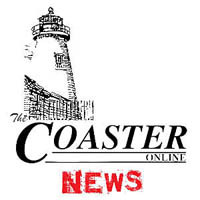 After reading about The Shady Street Showband in The Coaster, Engelstad approached the Bradley Beach Library about doing something fun together with the band. Donations will directly benefit the Bradley Beach Library’s renovations. There will also be a 50/50 raffle. Engelstad said seating at the park would be set up differently with the band off to the side providing additional space for members of the community to set up chairs. He also said restaurants are welcome to set up stands to sell foods with a portion of the proceeds benefiting the library. Over the past few months the library has held numerous fund-raisers with the help of businesses and local residents including the Walk-a-thon on July 18, which raised $23,000 and the butterfly garden. In August and September, there will also be beach yoga. “I love the idea that all different types of people are coming up with fun ways to help the library,” Torsney said.